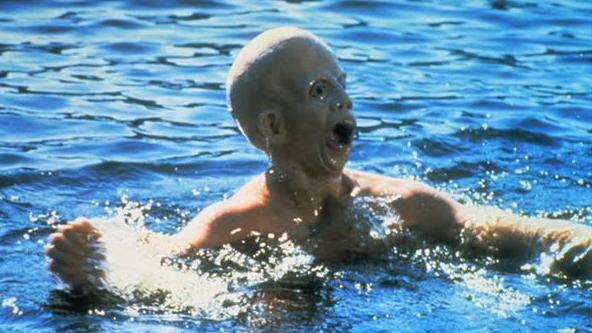 Writer Steve De Roover of www.moviepulp.be / www.dvdinfo.be has been steadily collecting interviews of Friday The 13th alumni over the years and has agreed to let www.fridaythe13thfranchise.com publish these interviews for fans to read and enjoy. 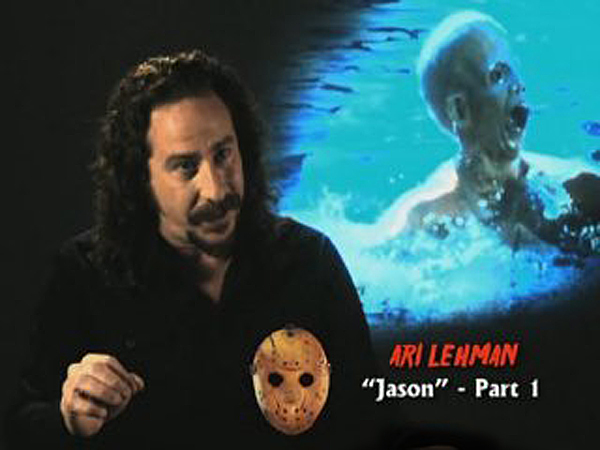 Below is Steve's interview with Ari Lehman (Jason Voorhees, Friday The 13th 1980). Big thank you to Steve for letting us share his interview with Ari! (Steve De Roover) How did you get involved in the movie-business and especially in Friday The 13th? role in "MANNY'S ORPHANS" a comedy about a bunch of inner-city kids who play Soccer. were not familiar with Soccer. for a drowning scene in a lake, the first suggestion was Sean's son Noel. However, Mrs.
replied, "Great - you got the part! ", said Sean, and the rest is Horror History. (Steve De Roover) Friday The 13th has celebrated its 30th anniversary. The Franchise is still going strong. What is the enduring appeal in this franchise? of The Creature in "CREATURE FROM THE BLACK LAGOON", and other Monsters. turned in into a place of sheer terror. much in the style of many Horror Films of the 60's and 70's. Mummy, The Creature, Hunchback Of Notre Dame, and the evil Mr. Hyde. and championed by Boris Karloff, Vincent Price and Lon Chaney, Jr.
(Steve De Roover) Were you aware at the time that you were working on something special and how does it feel to know after all these years that you were the first who played the iconic Jason? her from the bad Monsters in her dreams. I am honored to be the 1st Jason. (Steve De Roover) Did the huge success of Friday The 13th open doors for you? musician, largely due to all of the waiting around one does as an actor on a movie set. (Steve De Roover) You were only four days on the set, but do you have some special memorable story's about shooting the movie? How was it like to work with director Sean S. Cunningham, actress Adrienne King and FX-wizard Tom Savini? you know Jim Morrison and The Doors?" "I have heard of them", I said. "Well, listen to this," said Savini, and he put on "People Are Strange"
motionless throughout the entire LP, so we got a perfect mold! (Steve De Roover) Friday The 13th was the first in line of many gory horror films. How did you experience are the bloodshed, because you were very young at the time of shooting? eye was in great pain. He was rushed to the hospital immediately after. (Steve De Roover) How did you prepare for the part of were you just following instructions of Mister Cunningham? the other actors, and staring down into the waters of "Crystal Lake". (Steve De Roover) What do you think of the direction of the character Jason in the following pictures? maintaining Jason's rightful place in the legacy of Great Monsters. (Steve De Roover) You were involved in the "Crystal Lake Memories" book, in Daniel Farrand's great documentary "His Name Was Jason" and in some of the new Deluxe Editions of the first three films. It looks to me that you are a huge supporter for the franchise. Why is that? and as such, I go where the audience is, and bring them music and theatre. romantic American literary movement exmplified by Edgar Allan Poe. (Steve De Roover) Thanks for your time and success in the future with your music!